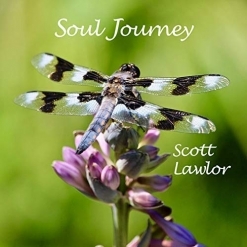 Soul Journey consists of four ambient, ethereal tracks that are soothing, but truly feel like a journey. 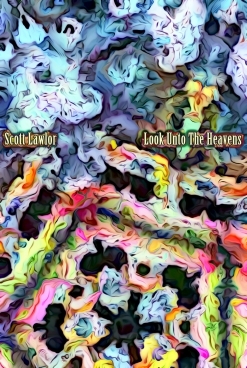 This is the fifth of Lawlor’s many albums that I have reviewed, and his music always seems more “musical” than that of many ambient artists. 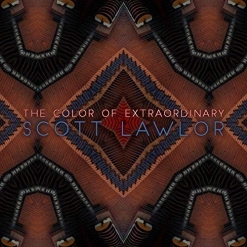 I’m not sure what that special something is, but Lawlor’s albums go far beyond the categories of “space music” or “healing music” to a realm of deep emotional expression coupled with a bit of magic. The title track begins the Soul Journey. 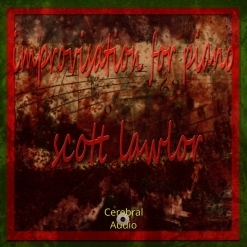 Dark and mysterious at the beginning, strings, voices and orchestral and atmospheric sounds surround the listener, beckoning him or her to follow, effortlessly soaring heavenward. The darkness lightens and the pace slows to a graceful feeling of floating through an endless calm and gentle warmth. I’m fascinated with Lawlor’s ability to convey power and a soothing peacefulness at the same time. “Divine Presence” is the second track. Ethereal voices, strings, pipe organ and chimes create an atmosphere of beautiful light that surrounds the listener/traveler with warmth and a profound comforting of the spirit. “Structure of Love” is somewhat more mysterious, adding flute sounds to the gently flowing instrumentation. It’s 14 1/2 minutes of heavenly bliss! “Celestial Guide” is by far the longest of the tracks at almost 32 1/2 minutes, but what a wonderfully uplifting guided tour through the stars and heavens. and what a gift to be able to escape to a place where all is well, and there are no conflicts, diseases or unhappiness. Soul Journey is an exceptional ambient musical experience by one of the genre’s most exceptional artists! The album is available for download from Amazon and iTunes, and is also available on several streaming sites including Bandcamp.